Davinci Resolve is reporting my videos as 16 bit and not as 14 bit, is that intentional? I wanted to test the video auto rec restart function after 30 min. System could not save the MOV file, neither the LOG file. There is a little cc 1 sec gap uncontinuousity. I tried out the magiclantern-Nightly.2015Oct26.100D100B.zip build, and I couldn't get the focus peaking to work. I did have some strange red bands at the top of the display. Zebras seemed to work, although I didn't test them thoroughly. My main interest here is the focus peaking as I have some older FD lenses that I adapt. If this isn't detailed enough please let me know how I can provide a more useful reply. please don´t call me an idiot but I can´t find any kind of Focus Trap (in cam and description). Will this be implemented later or is it not working with this cam? First of all, thank you so much for doing this, it's an awesome piece of work. Using the 100D-B built. And Focus peaking doesn't seem to work. More info can be provided if someone can specificly tell me what to provide. Unfortunately @smilebrain, Focus Trap isn't supported on most Rebels including this body as far as I'm concerned. 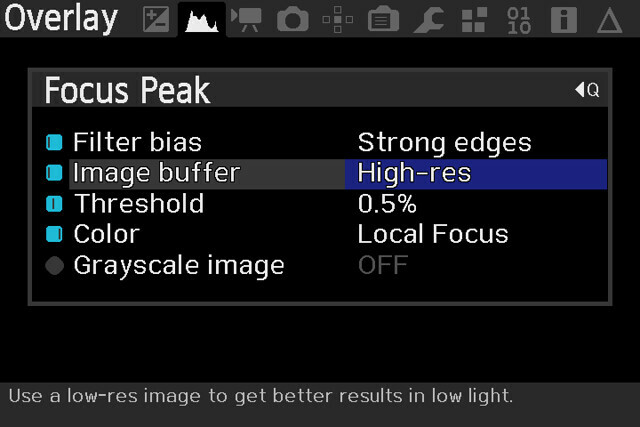 Also @fredje I learned that Focus Peaks works if you go into sub menu's setting and set Image Buffer to "HIgh-Res" from "Low-Res" which seems to do the trick for me. Also noticed if I use Bit Rate (CBR) above +1.4 up to +3.0 and with movie restart enabled ON it would get stuck in "loop of restarts" after the first several seconds of first take and only way to get out of it is to press trash button to get into ML menu or whatever. This also applies for during movie crop-mode as well. If Bit Rate (CBR) is set to default and up to +1.4 then it works fine with Movie Restart. Also has anyone notice this bug when playing MLV file during playback viewing and gets stuck on it? Basically it'll become Frozen and must take battery out to restart. I was able to reproduce this on several occasions as well. ML's Menu artifacts occasionally Come back from time to time and simply press Playback mode and back into ML menu does the trick atm. Thanks @nikfreak for the tip! @DeafEyeJedi The Hi-Res module setting worked great for focus peaking. Thank you! I have been trying to find the Hi-Res module/Hi-Res setting in my menus for about 10 minutes now. Can you guys give me some pointers for enabling this mode? There isn't a specific module that I see that claims to increase resolution (I enabled all modules just in case though). Not a module, it is a sub menu of the Focus Peaking feature. Fantastic! I didn't realize that there were sub menus for every feature. First day with ML. This Alpha just took the SL1 to a new level for videography. Thanks for the clarification, @dfort! I found out about Magic Lantern today and to see an alpha release for my camera posted a bit over one week ago is just amazing! I had the same error message as Koenkooki above but .100B installed fine on my SL1. Hi, Nikfreak thank You for ML on 100D. I don't any big problems whit ML on my camera, but intervalometer sometimes don't wont start whith silent picture mode, or take few photo and stop . I use dualiso, silent pictures , hdr videos , ettr and Raw videos but my sdcard is to slow. Zero crashes, thank You. Is one thing to make my angry - why ML menu disappears very fast?? I click recycle bin and 2 sec and menu disappears. Sorry for my english, i never learn it in scool, only form tv Reagards. Thanks for the sub-menu pointer. I honestly didn't know that. But focuspeaking now works, and it's awesome. Gives my army of manual focus lenses some new use! I will add one on top of this. The center focus point of sl1 does focus "better" compared to my 70D in low light situtations. I get definitely less hunting with my Sigma 50-100 2.8 OS. Your theory could be right , another possibility is that the old focus module paired with better processor, gives more efficiency. awww yeah. I put ML on my camera yesterday and its been like a whole new world. I've been waiting on this a long time, since i bought one of the first 100d cameras. Thanks for the hard work. I'll start reporting bugs when I get more time to catalog things. My 100d was bought from Japan(kiss x7), use ml 100a and 100b both fail install(Please try installing ML for 100d 10AA/10AB), hope the new version can works fine! Anyway thanks for your hard work! and sorry for my poor English. Audio Levels : In order to have an accurate reading every time the camera is turn ON The Canon Audio Menu has to be open and then return to the ML Interface. Once the camera is turned OFF, and back ON repeat same procedure. Finally I'm a happy user of ML capabilities for Canon EOS 100D camera. My build is 100B. I use the Transcend 128 GB SDXC UHS-I card to record raw video and other stuff by ML. My own record in raw video shooting is 55 minutes for one take at 1312*710 @ 23,980 fps, global draw off, sound module off, crop mode off, using a Canon ACK-E15 adapter. 1. Sound level indication while shooting. AFAIK, the user cannot change the sound recording level during the shooting, am I right? 2. Video bitrate option. Higher bitrate doesn't affect image quality. What is it for? And, tell me, please, how can I get rid of artifacts in the DNG stills which is called (AFAIK) "focus pixels"?